The internal medicine specialists at Addison Internal Medicine believe that the best way to promote better health and longevity is through preventive health services. Preventive medicine consists of measures taken for disease prevention, as opposed to disease treatment. By being proactive in your healthcare, you stand a better chance of catching a condition early. When you schedule an appointment for preventive medicine at Addison Internal Medicine, you’ll meet with one of our internists to discuss your concerns. 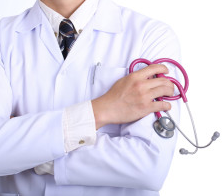 Once you’ve talked with your doctor, a diagnostic exam will be completed to address any concerns. Our facilities are state-of-the art, and our doctors use the latest in technology and medical techniques in tests and screenings. In most cases, your doctor will be able to provide you with preliminary results, but further testing may be required for some preventive medicine services. After your appointment, it’s a good idea to continue your preventive medical care on a regular schedule as recommended by our doctor. By monitoring your health in conjunction with Addison Internal Medicine, you’re more likely to enjoy improved quality of life and peace of mind concerning your medical condition. To schedule your appointment for preventive care services with Addison Internal Medicine, call either our Addison clinic or our Carrolton clinic at 972-733-3090.